Natale è sempre più vicino e allora festeggiamo con un altro fantastico giveaway sponsorizzato da Romwe! 2) Mettere mi piace alla pagina Facebook di Nameless Fashion Blog. Ci saranno due vincitori che riceveranno entrambi un coupon da 30$ da spendere su Romwe. Avete solo 5 giorni di tempo per partecipare quindi.... cosa state aspettando? Buon weekend! Christmas is just a few days away so let's celebrate with another amazing giveaway sponsored by Romwe! 2) Like Nameless Fashion Blog on Facebook. 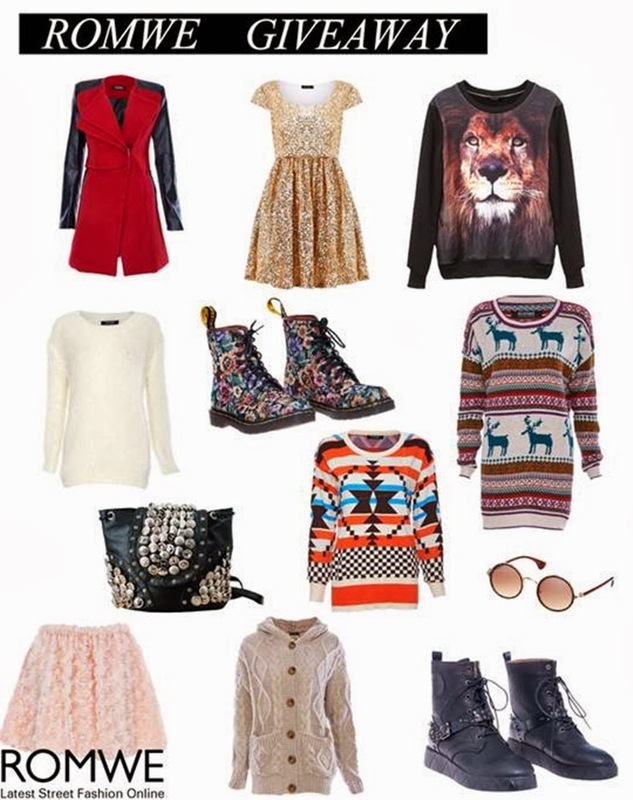 There will be two winners who will get each a 30$ coupon to spend on Romwe. You have only 5 days to join so... what are you waiting for? Have a nice weekend! Hanno aggiunto dei capi davvero stupendi! Today I bring you a selection of my current favourite wished sunglasses...can you help me to choose one? bellissimo giveaway!! come si fà per partecipare? I'm in! I liked your Facebook-page! great giveaway!! really love romwe!! Bellissima la gonna in pizzo rosa dell ultima riga. Bello il cappotto rosso e nero!!! Lovely giveaway! I love those glasses! Passa da me per un saluto,..
che bel giveaway, peccato non possa partecipare!!! the Romwe line is lovely, I wish Goodluck to the winner!